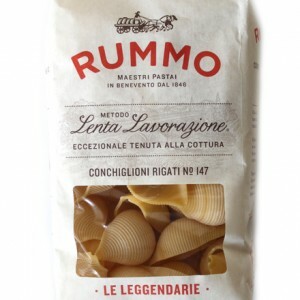 Lenta lavorazione or “slow working” is the not-so-secret secret behind the exceptional quality of Rummo’s Lenta Lavorazione pasta. 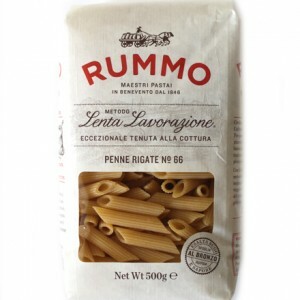 Firm, resilient and al dente every time, Rummo’s consistent quality from one cut to the next makes it one of our favourite brands. 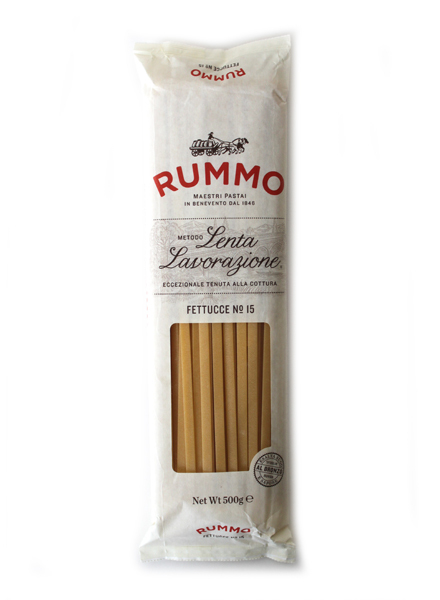 Rummo’s Fettucce is produced using the bronze extrusion method which gives the pasta it’s dull appearance and rough texture. These highly desirable qualities allow your sauce to better cling to the pasta surface. 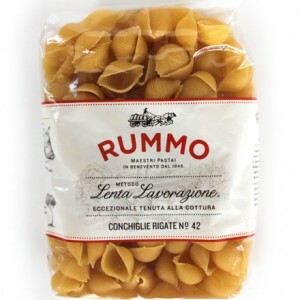 A few millimetres thicker than Tagliattelle, Fettucce or Fettuccine is often paired with cream sauces. It’s thickness and width make it resilient enough to stand up to the weight of creamy sauces and less likely to clump together. 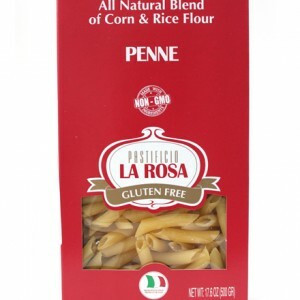 Durum wheat semolina flour, water.